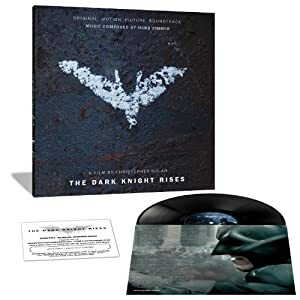 On July 17, 2012, WaterTower Music will release The Dark Knight Rises : Original Motion Picture Soundtrack at all physical and digital retailers. 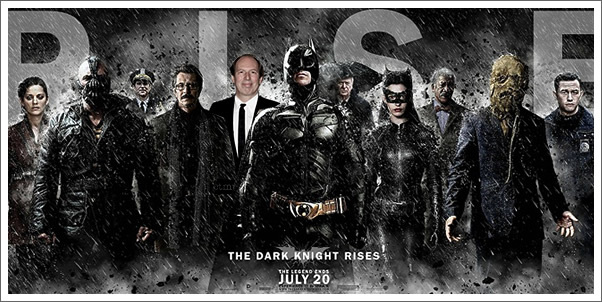 Academy- Award® winning composer Hans Zimmer teams for the fourth time with writer/director Christopher Nolan to create the music for the final installment of his Dark Knight Trilogy. The CD version of the soundtrack will contain an exclusive link to unlock three bonus tracks, while a deluxe version of the soundtrack, with three additional tracks, will be available digitally. A limited edition vinyl configuration is set for release on September 4. Following the success of his experiential app for Inception, which boasted 5 million downloads, Zimmer is preparing to unveil a new iPhone app for The Dark Knight Rises that will provide fans with a more immersive musical and sonic experience into the world of Gotham City. Details for the new Hans Zimmer app will be announced soon. The Dark Knight Rises -- Original Motion Picture Soundtrack and The Dark Knight Rises – Original Motion Picture Soundtrack Deluxe Version on WaterTower Music will be available digitally and in stores on July 17, 2012.